I have loads of stuff I SHOULD be doing today (especially since, because my students are end-of-level testing this week, I have some extra time), but I’m finding it difficult to make myself work (aka, grade my students’ book projects and start prepping for my departure from the teaching profession by getting my classroom in order). This is not a new sensation. In fact, after every major grading surge, where I’m forced to spend hours upon hours upon hours in the 10 days or so leading up to a mid- or final-term report card, I always seem to be in somewhat of a grading hangover for the week or two following. (In fact, after one particularly nasty stretch of grading time at the end of second trimester this year, I literally couldn’t bring myself to grade anything for almost a month.) Since this last weekend was just about the first time I’d had ANY quality “me” time in many, many days (like, almost two weeks if we’re being real), I’m not surprised that my body is giving in to its typical you-can’t-make-me-grade phase because, after all, I’ve given into it so many times before. And because days so often look the same, it’s easy to rationalize that it really doesn’t matter if I waste my time on this particular Monday because I’ll have other Mondays (or just other work days, period) to get things done. And there’s some truth to that, I suppose. But I’ve been thinking about that particular mind trap a lot lately (and not just because I’m trying to put off thinking about all those looming tasks I keep procrastinating). I’ve been finally seeing some progress again in my weight loss and in my physical fitness, and it’s largely because I’m trying my darndest not to allow myself to fall prey to the idea that this particular day isn’t necessarily super important, so it’s okay if I just put it (strength training, a more nutritious meal, a good run) off until another day when I am feeling more inclined. The mindset shift with my exercise routine happened when I decided to try out a new workout I’d read about in one of the magazines lounging around in my bathroom (which is where all my magazines lounge around, coincidentally). Having been a magazine junkie for almost two decades, I am no stranger to the quick and easy workout plans promising results found in most any women’s interest magazine, and I also am no stranger to glancing at the moves for all of two seconds before moving onto something more palatable. Well, for starters, on day one, this workout was literally 30 seconds long. And on day two? Still under a minute. 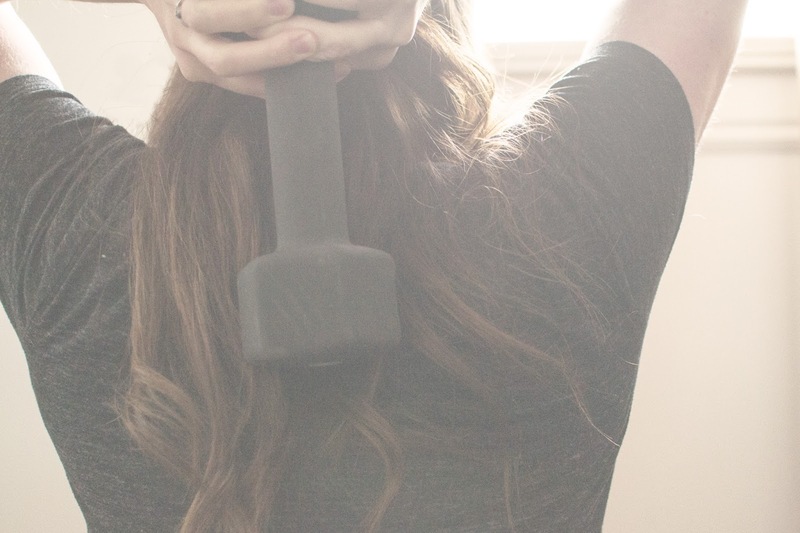 Because I like to kid myself occasionally with the thought that I just “don’t have time” to fit in a strength workout (perfect hogwash, I knew, but a girl’s got to get her excuses from somewhere), here was a workout plan that absolutely left me no excuse. Plus, it also shot down my other two favorite excuses–that I either lacked the equipment to do the workout or that it had too many crazy-looking/complicated moves in it–so I was left thinking that maybe I should actually just hunker down and try out this workout already. So I did. And my first workout, as promised, took all of 30 seconds, since it was only comprised of 8 squats and maybe one other simple move. On day two, I once again had no excuse to complete the workout, so I did it. And so it’s gone on, with me going through and completing my workout on most days (although the grading did, admittedly, throw me off track for about a week), with each day just very gradually adding on more moves/reps/time to the previous day’s workout. Apparently, if you do certain moves every single day–even for relatively short amounts of time–you actually start to notice results. Not only am I considerably stronger than when I first started doing the workout, but I also have started to notice some honest-to-goodness muscle definition, even if it’s just slight right now. And all from just being consistent and doing the moves every day (my workout doesn’t even last a full 10 minutes yet!). Today matters. Which means that I need to get on that grading already. How would you benefit from acting on the knowledge that today DOES matter?